Peter has a Ph.D. from the University of Sydney in monetary economics and the history of economic thought. This research surveyed the analytical role of an endogenously determined money supply in the history of economic thought, particularly focusing on the economics of Knut Wicksell, J.M. Keynes and Nicholas Kaldor. It also incorporated endogenous money into a macroeconomic model to provide a monetary explanation of long period employment. This work was published in 2005 as Money and Employment by Edward Elgar. Peter's ongoing research interests include the development of Post-Keynesian macro models and their application to understanding financial crises and policy responses to such crises including macro-prudential policy. He also works on Australian monetary and banking history and has a strong interest in ethical perspectives on economics. Peter has held academic appointments at the University of Sydney and the University of New South Wales as well as at the University of Technology Sydney, and he has held visiting appointments at the University of Ottawa in Canada and the University of Massachusetts, Amherst, in the United States. He has taught courses in economic principles, intermediate and advanced macroeconomics, monetary economics, corporate finance and banking. 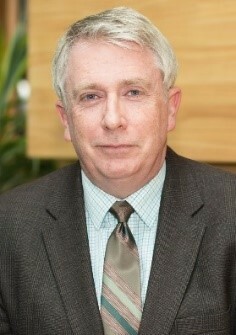 He is also managing editor of the Australasian Journal of Economics Education. The macroeconomic effects of financial and monetary institutional arrangements, the history of monetary economics, and the history of the Australian financial system. Ethical perspective on economics. Docherty, PT 2015, ''Book Review: Jocelyn Pixley and G.C. Harcourt (eds). 'Financial Crises and the Nature of Capitalist Money: Mutual Developments from the Work of Geoffrey Ingham' '', The Economic and Labour Relations Review, vol. 26, no. 2, pp. 349-355. This paper uses a detailed macroeconomic model characterized by demand-led growth, Sraffian pricing, and the Kaldor-Pasinetti analysis of income distribution at the macrolevel to develop a framework for evaluation of the long-term implications of monetary policy. Focus is placed on the development of interest rate rules that ensure balanced long-run growth with either stable observable unemployment or zero or low underlying unemployment, and comparison is made between these rules and other Post Keynesian policy rules. Strong support is provided for the effectiveness of the Smithin rule, which fixes the real rate of interest although an alternative rationale for this rule is provided. This paper examines the reasons for the difficulties Post Keynesian economics has had in supplanting mainstream neoclassical theory and for its resulting marginalization. Three explanations are given: intellectual, sociological and political, where the latter two are largely responsible for the current relationship of Post Keynesian economics to the mainstream. The paper also reviews various strategies for improving the future of Post Keynesian economics, including a focus on methodological issues by maintaining an 'open systems' approach; a strategy of 'embattled survival'; the development of a positive alternative to mainstream economics; a strategy of 'constructive engagement' with the mainstream; and a dialogue with policymakers. While the global financial crisis has increased the potential for constructive engagement with the mainstream, significant barriers remain to the effectiveness of this approach. The crisis has, however, enhanced the possibility of engaging directly with policymakers and gaining a greater role in management education. This paper argues that Keyness treatment of economic fluctuations and monetary policy in the General Theory is still relevant after 75 years. His treatment of severe economic crises provides considerable insight into the possibility of crises emanating from financial markets, and for understanding how financial disturbances may have real economic effects. Keyness insights into the potential limitations of using monetary policy to deal with periods of crisis and how these limitations may be addressed are also shown to be relevant to the recent global financial crisis. The paper also argues that the General Theory has insights to offer on the use of Taylor rules and on the possibility of addressing persistent unemployment. This paper extends the literature on grader variation and the role of moderation and socialisation processes in reducing this variation. It offers a fresh categorisation of academics' assessment beliefs and expectations, and uses this categorisation to analyse the interaction between implicit and explicit expectations in relation to grader variation and socialisation processes. A combination of quantitative and qualitative data from a large class grading moderation process was used to identify the existence and character of residual implicit grader expectations, the impact of these implicit expectations in causing grader variation, and the effectiveness of socialisation in reducing the extent of variation. An effective strategy for designing and focusing socialisation processes is also outlined. Mostihnalyses of the global financial crisis to date have focused on analysing specific features of the 'Crisis including sub-prime loans defaults, the role of structured i~estrnent vehicles, defici~ncies in the performance of credit rating agencies and the reaction of financial markets.to losses sustained on account of these forces. Less attention has been paid to the~c1imate of asset price inflation within., which sub-prime loans were written although increasing , ~ttention has been paid to the regulatory responses. required by the crisis. Th~s paper briefly surveys the theory of financial system functions and prudential regulation, and cqnsiders the implications of this theory for ,understanding the causes of the crisis and the , shape that prudential regulation should take in the light of the crisis. It'argues for the establishment of an independent, public credit rating agency and for the financial system to be regulated functionally, with any entity that issues shorfterm securities (or deposits) against " the holding of risky loans being made subject to Basel II capita1 requirements. It also argues that these requirements be made variable for loans used to finance key assets. in order to reduce the possibility of asset price inflation. This paper reports on the evaluation of a writing program embedded within an intermediate macroeconomics course at an Australian university. This program was designed to address core issues identified by an academic literacies analysis of what might be called the higher education writing problem: an observed poor quality in the writing of higher education students across a range of disciplines. The program attempted to close an expectations gap between student and academic perceptions of what constitutes good writing by using clear and detailed assessment criteria, providing exemplars of good writing, and interacting with students about their writing in a series of writing workshops. Regressions of assignment results on a range of factors and a comparison of assignment results for students who attended the writing workshops versus those who did not, indicate a small but positive, and statistically significant, effect of important aspects of the writing program on assignment outcomes. A distributional effect was also observed whereby students at the pass-fail margin who attended the writing workshops performed better than those who did not. Limitations of the study are identified and suggestions are made for further work. The authors report on the design and implementation of a pilot program to extend the principles of intensive writing outlined by W. Lee Hansen (1998), Murray S. Simpson and Shireen E. Carroll (1999) and David Carless (2006) to large macroeconomics classes. The key aspect of this program was its collaborative nature, with staff from two specialist units joining forces with two economics instructors to provide students with significant resources and direction in a short program of writing, embedded within an intermediate macroeconomics subject at the University of Technology, Sydney (UTS). The objective was to test potential strategies and to identify points of improvement for a more intensive program of writing development at the next stage of implementation. The authors review the literature on student writing and associated assessment issues, outline the central design features of the UTS program, and take a closer look at the centerpiece of a strategy for overcoming writing problems: a series of writing workshops targeted at two related assignments within the intermediate macroeconomics course. The Aggregate Supply-Aggregate Demand (AS-AD) model has been an important part of undergraduate teaching in economics for many years. It has, however, been the subject of recent criticism and new frameworks have been suggested to replace it. Given this antagonism, it seems a useful time to reflect on the AS-AD models suitability for teaching intermediate macroeconomics. A preliminary step in this process would be to provide a careful survey of AS-AD models used at this level. This paper surveys four common versions of the AS-AD model used in intermediate macroeconomics texts, considers the structure of these models, and carefully analyses their adjustment dynamics for negative demand and supply shocks. It argues that incorporating more than one of the approaches considered into intermediate classes would provide students with a better understanding of the state of economics and would enhance their critical skills by requiring them to understand the similarities and differences between the different approaches. In the previous issue of this journal, we provided a survey of AS-AD models used in intermediate macroeconomic textbooks. That exercise was seen as preliminary to a careful consideration of criticisms made of the AS-AD model that suggest it should cease to be used as a device for teaching intermediate macroeconomics. In this paper, we undertake this investigation and examine a range of problems that have been identified with the AS-AD model. We argue that that while a number of these criticisms are valid, they may be overcome in ways that leave the model largely intact as a device for teaching the neoclassical explanation of price-output determination. One of these ways involves a new interpretation the model. We do, however, point out two more fundamental criticisms of the AS-AD model that have not featured in the literature, and argue that acceptance of these criticisms would require replacement of the neoclassical paradigm itself. Until a decision to do this is taken by the profession, we argue that a revised AS-AD model has a continuing role to play in teaching intermediate macroeconomics. This paper re-examines the impact of endogenous money in a neoclassical model with interest-sensitive expenditures. It first outlines a benchmark model with exogenous money and the usual full employment and money growth-determined inflation results. It then replaces exogenous money with endogenous money, which is shown to generate model indeterminacy. Two methods of resolving this indeterminacy are then explored: money illusion and a Taylor rule for monetary policy, a key feature of new consensus models. The paper concludes that endogenous money has negative implications for the behaviour and interpretation of neoclassical and new consensus models. In January 2008, institutions across the G-lO countries responsible for regulating banks within their jurisdictions implemented the new Basel Capital Accord, now commonly known as Basel II. This new standard for bank regulation replaces the first Basel Accord adopted in 1988 and introduces several innovations designed to improve the effectiveness of bank regulation and to reduce the likelihood of large bank collapses and the associated possibility of financial instability. Such a new policy framework has important implications for welfare and interest rate policy. A framework that successfully reduces the occurrence of financial crises is also likely to reduce the number of damaging episodes of economic downturn (such as that recently observed in the United States as a result of the subprime crisis) 'and the frequency with which monetary policy needs to be called upon to repair the damage of such downturns. Because interest rates affect the distribution of income, these changes also have potential political economy implications. Docherty, P.T. 2006, 'Endogenous money, non-neutrality and interest-sensitivity in the theory of long period unemployment (F&E paper #148)', School of Finance & Economics Working Paper Series, vol. 148. Docherty, PT & Wang, G 2006, 'Using synthetic data to measure the impact of RTGS on systemic risk in the Australian payment system (F&E paper #149)', School of Finance & Economics Working Paper Series, vol. 149. Docherty, PT, Tse, HP, Forman, SR & Menzies, GD 2006, 'Reducing the expectations gap: Facilitating improved student writing in an intermediate macroeconomics course (F&E paper #150)'. Docherty, PT 1995, 'Endogeneity in Wicksell's monetary theory', History of Economics Review, vol. Winter, no. 23, pp. 20-36. Thirty-five years after the publication of Keynes's General Theory, Harry Johnson examined what appeared at the time to be the end of the 'Keynesian Revolution'. In that paper, Johnson (1971) examined not only the conditions under which Keynes's General Theory had transformed thinking in the 1930s and 1940s about the operation and management of the macroeconomy, he also considered the conditions under which that transformation was in the process of being superseded. Docherty, P.T. 2009, 'Interest rate rules in a demand-led Kaldor-Pasinetti-Sraffa-Keynes growth model', Conference on the Political Economy of Central Banking, Toronto, Canada. Docherty, P.T. & Sadeghian, D. 2009, 'Modelling the overnight rate: Can central banks change the policy rate without changing a financial aggregate? ', Canadian Economic Association Conference, Toronto, Canada. Docherty, P.T. 2008, 'Comparing post Keynesian monetary policy rules in a Kaldor-Pasinetti-Sraffa-Keynes framework', Eastern Economic Association Annual Conference 2008, Boston, USA. Docherty, P.T. 2008, 'Money and monetary policy in Kaldor-Psinettit-Sraffa-Keynes framework', Seminar Paper, Department of Public Economics, University of Rome, La Sapienza, Rome, Italy. Docherty, P.T. 2008, 'The political economy of banking regulation-monetary policy interaction', Eastern Economic Association Annual Conference 2008, Boston, USA. Docherty, P.T. 2007, 'Monetary policy in a Kaldor-Pasinetti-Sraffa-Keynes model with endogenous money', Eastern Economic Association Annual Conference 2007, New York, USA. Docherty, P.T. 2006, 'Endogenous money non-neutrality and interest - sensitivity in the theory of long period unemployment', Centre for Full Employment and Equity Conference, Centre for Full Employment and Equity Conference, Newcastle, Australia. Docherty, P.T. 2006, 'Endogenous money, non-neutrality and interest-sensitivity in the theory of long period unemployment', Centre for Full Employment and Equity Conference, Newcastle, Australia. Docherty, P & Wang, G 2009, 'A Revided Exposition of the Methodology for Testing Payments Systems Risk'. exposition of the default simulation methodology used in payments system risk research. Menzies, GD, Pratt, J, Thorp, SJ & Docherty, PT 2008, 'Piloting a Peer Feedback Program in the Faculty of Business at UTS (154)', Working Paper Series. This paper outlines the trial and development of a peer review program for teaching improvement in the Faculty of Business at the University of Technology, Sydney (UTS). It first explores some of the key issues in the purpose and design of peer review schemes. It agrees with a strong theme in the peer review literature that peer review is most effective when used for quality enhancement rather than quality assurance in the sense used by Lomas and Nicholls (2005). It also recognises the possibility of resistance from academic staff to the idea of peer review and scepticism about its usefulness. A methodology for the conduct of a pilot peer review scheme is outlined drawing on the work of Bingham and Ottewill (2001) and Puget and Schubert (2008) in which peer review is voluntary, confidential and reciprocal involving a mutual arrangement with a trusted colleague to observe each otherâs teaching and to offer private constructive feedback within agreed parameters. The experience of participants in the pilot scheme is reported and observations made about both the process of peer review itself and of attempting to establish a peer review program in a Faculty not previously used to such methods of professional and educational development.